Christmas is just a few weeks away, the preparations are on its way, everything is going at its peak. Event planners are planning the best events, it is everyone’s time. The men, women and kids of all ages are ready to rock. This one night is the most awaited moment in the life of everyone. Every time the night comes closer the people plan to make it a unique celebration. Apart from the costumes, parties and special foods you can add some more special colors to the Christmas night this year. Bring out the creative Christmas lover in you. 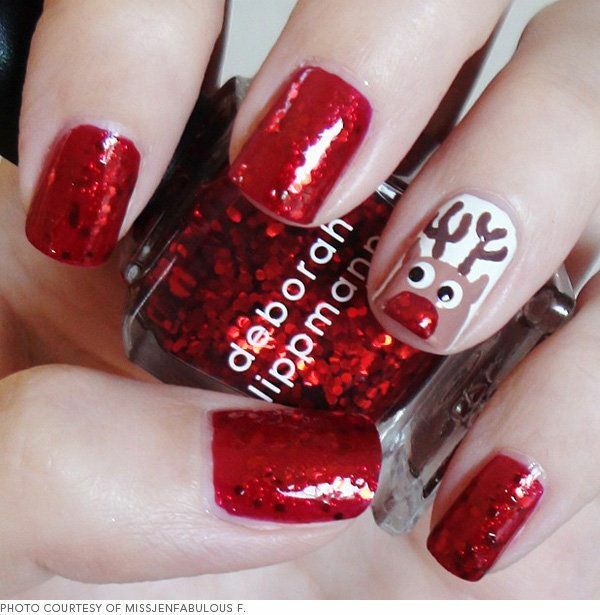 Take out the best nail colors and paint your nails with your favorite Christmas themed nails . Transform them into a happy Santa, a cheerful reindeer, a funky tree or a yummy candy cane and enjoy this festive season. 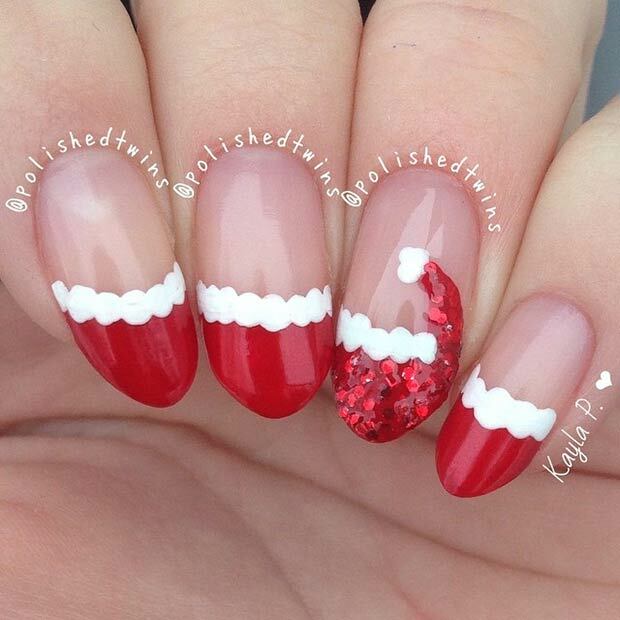 Use the red, green, silver and white to make your nails look like the candy cane. 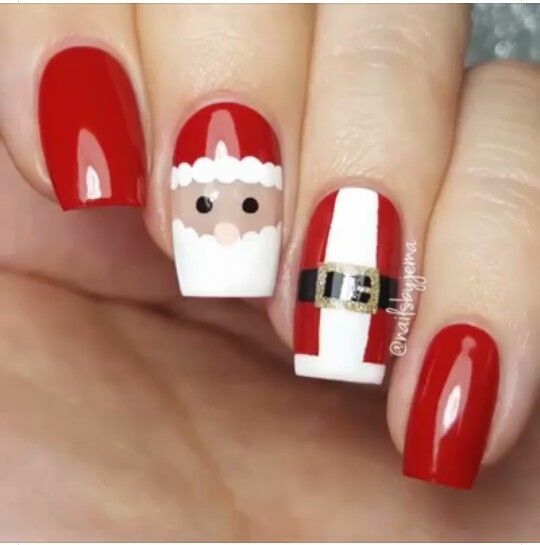 Instead of waiting for the Santa the whole night bring it to life by painting the cute Santa on your nails. After the Santa, it is the reindeer whose bells bring life to the dark Christmas nights. Paint the cuddly reindeer to make the music keep ringing in your ears. 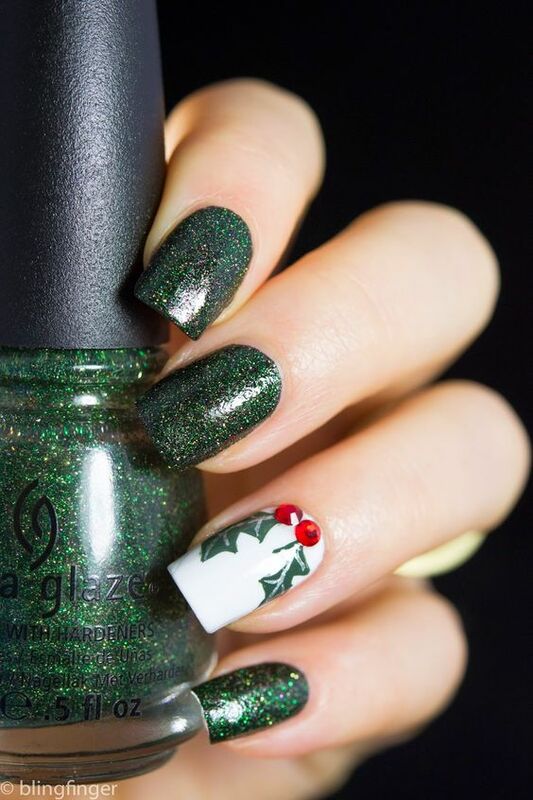 The glittery satisfying green of the Christmas trees can make your nails look full of life in the chilly Christmas nights. 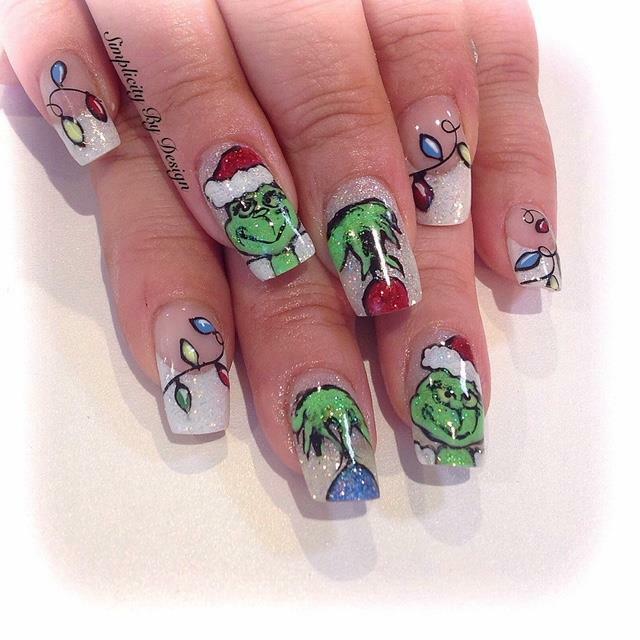 Borrow some light from the Christmas night and paint them on your nails. The Christmas sweater might be ugly but it will warm up your emotions once it comes on the nails. 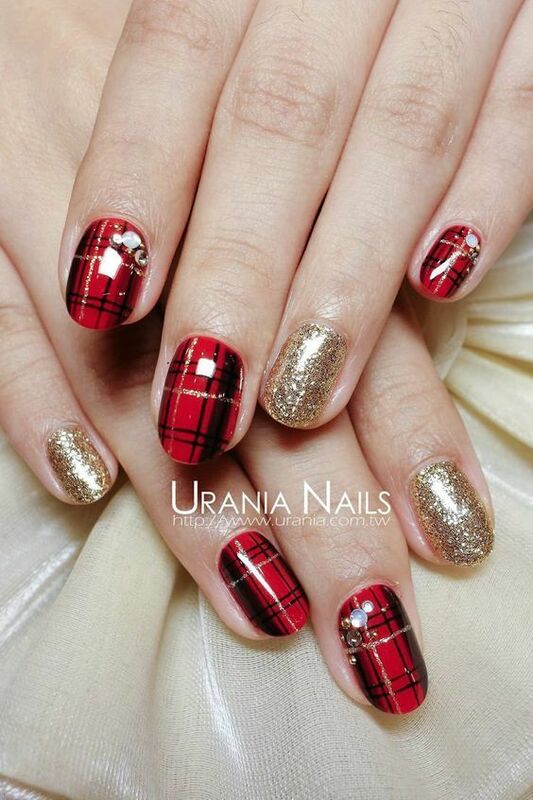 The glittering and shining nails will be fascinating for all your style-loving friends in the Christmas party. 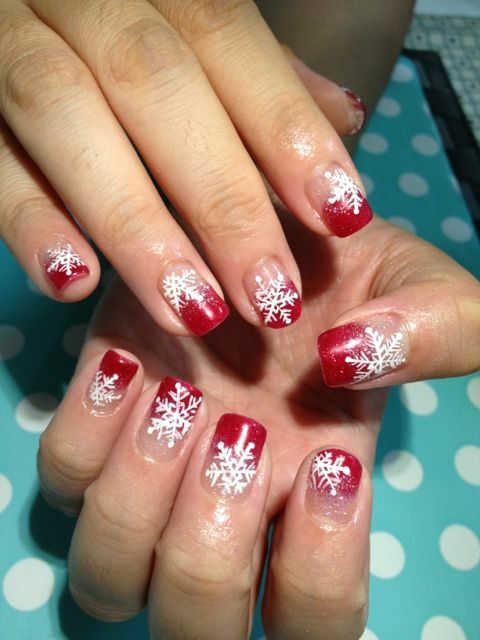 Once you paint the snowflakes on your nails you will feel the fluffy flakes brushing against your cheeks. It is lucky to see snow on the Christmas night. 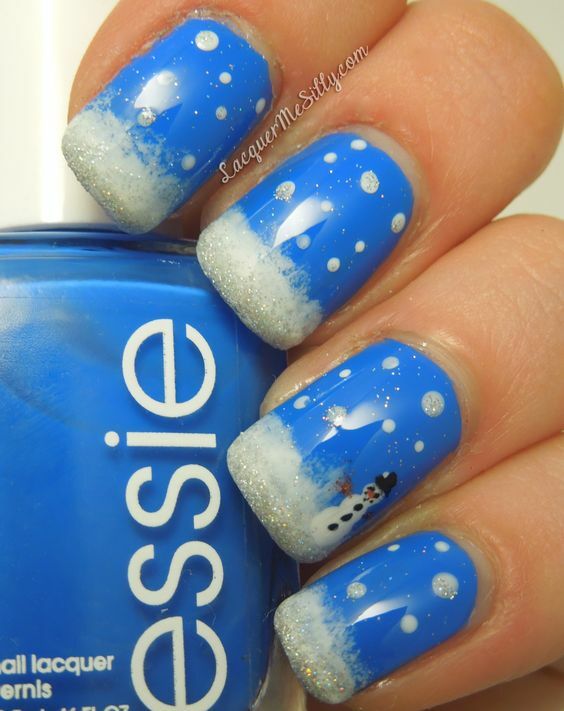 It would be luckier if you have the snow painted on your nails. 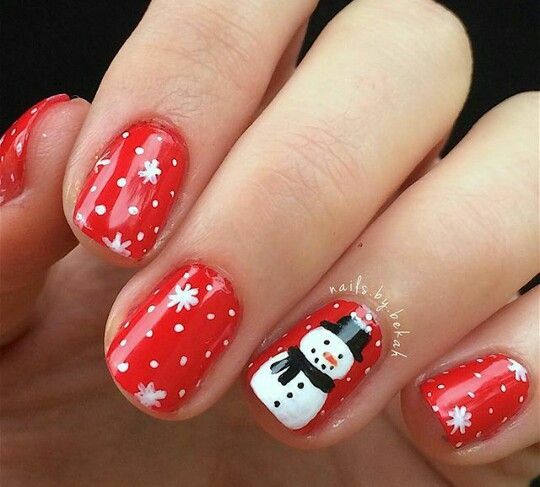 It can be thrilling to see a snowman on the nails standing gracefully and gazing at you. 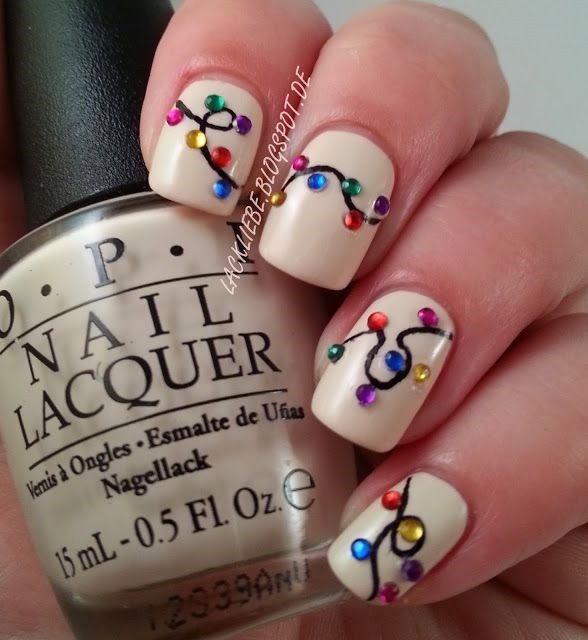 Steal the colors of the Christmas tree ornaments and use them to make your nails look attractive. These trendy and delicate Santa hats can look great on all hands. 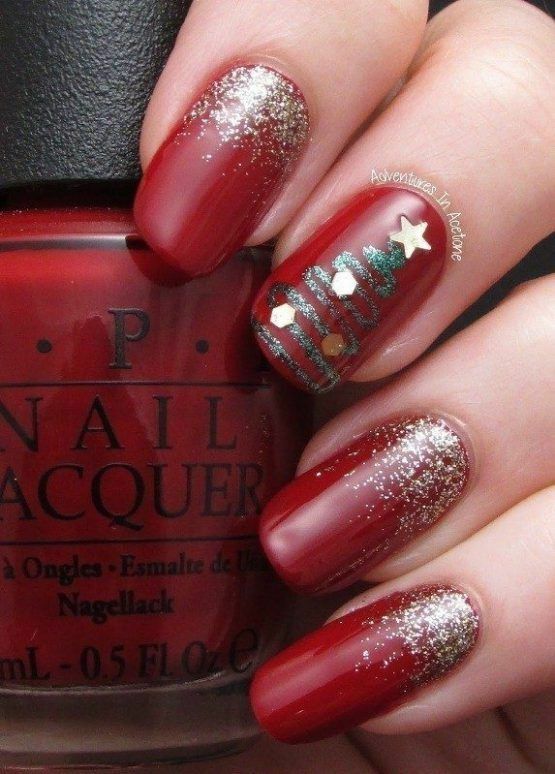 Take the arrow tip brushes and make the beautiful mini Christmas trees on your nails with precision. 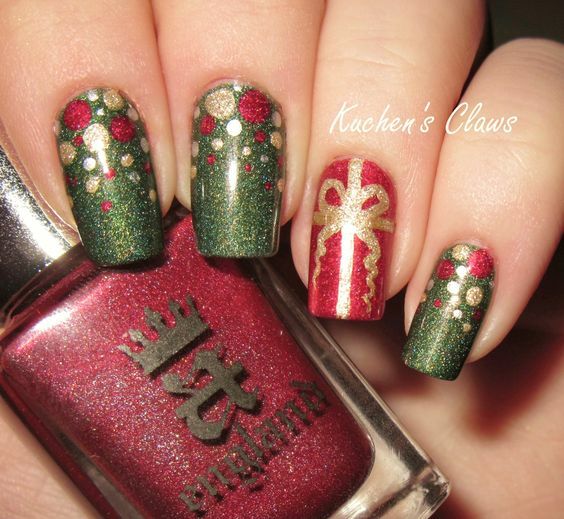 It is creative and inspiring to make the mistletoe on your nails. Create the favorite pudding recipe dressed with the cherries all over on your nails this Christmas. Let the lines and shades say the story of the Christmas. 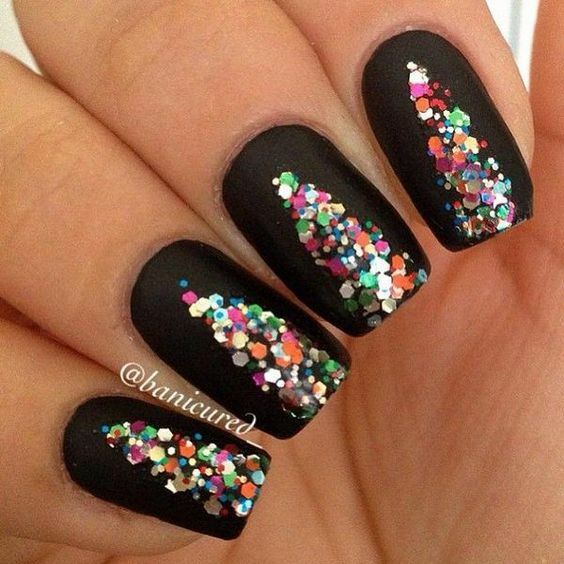 Let the beads sparkle with twist around the shellac nails. Elf lovers can feel the naughty elf jumping across their fingers by using the amazing colors. He can dance, he can laugh and he can give you the most special moments this Christmas. Just draw him on your nails and feel the fun. Give your nails a great look with these French style nail paints consisting of the bows.